SnugglePuppie™ Replacement Batteries & Heat Packs keep your SnugglePuppie operating just like new! These batteries produce a long-lasting heartbeat when used with your SnugglePuppie's heart. Each disposable warmer also works to provide life-like warmth for your pet for up to 24 hours without any electricity, microwaving, or mess! SnugglePuppie Replacement Batteries & Heat Packs are all-natural and odorless products that provide up to 2-weeks of continuous battery life and 24 hours of safe warmth per pack. 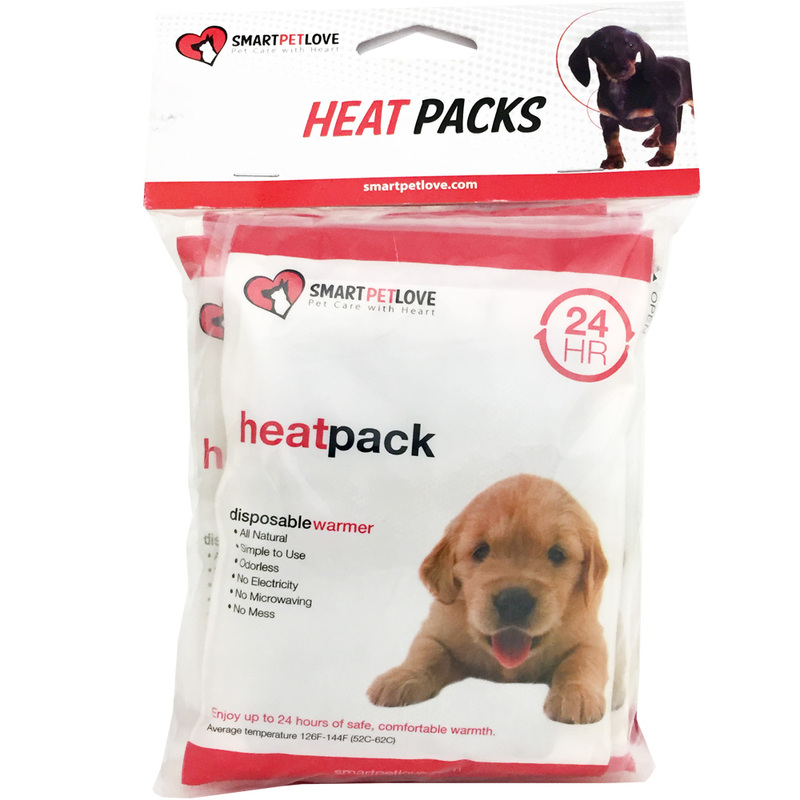 This package includes 6 heat packs to last your pet up to a full 6 days of continuous use. Keep your SnugglePuppie active and comfortable and order today! Contents: Iron powder, water, salt, activated charcoal, and vermiculite. Open the outer protective package when you are immediately ready to use. Remove the inside pouch from the outer protective package. Briefly shake the pouch to mix and activate contents. Do not open the inside pouch. Do not microwave pouch - simply expose the pouch to air. Place pouch inside the underside stuffed animal pocket. Allow 15 to 30 minutes for the warmer to heat up. The heater is finished heating when the contents become “hard” or “solid”. Dispose of pouch with regular trash. The all-natural ingredients will not harm the environment. Batteries: The batteries enclosed will last up to 2 weeks with continuous use with our heartbeat. However, we suggest turning off the heartbeat when not in use. This could double or triple time between battery changes. Heat Packs: No kneading or shaking is required. Remove the outer packaging. Open the underside pocket and insert into your SnugglePuppie/Kittie. If you do not need to use the heat pack for the continuous hours noted on the bag, simply put it in a zip lock bag and squeeze the air out to stop the heating process. Remove and continue use, throw away when finished. The heartbeat and heat pack are safe to use together. Heat pack contents include all natural minerals: iron powder vermiculite, activated carbon and salt. Caution: For external use only. Do not place warmer directly on skin; heat may cause burns. Warmer won't be effective if wet. Do not open inner pack. If inner pack contents come in contact with skin, mouth, or eyes, flush instantly with cold water. Keep out of reach of children. Heat packs are safe and will not cause harm if ingested by your pet. They become inactive if they get wet (water or saliva). Heat packs are for external use only! Do not place heat pack directly on skin, the heat may cause burns. Do not open inner pack. Do not microwave the disposable heat pack. If inner pack contents come in contact with skin, mouth or eyes, flush instantly with cold water.